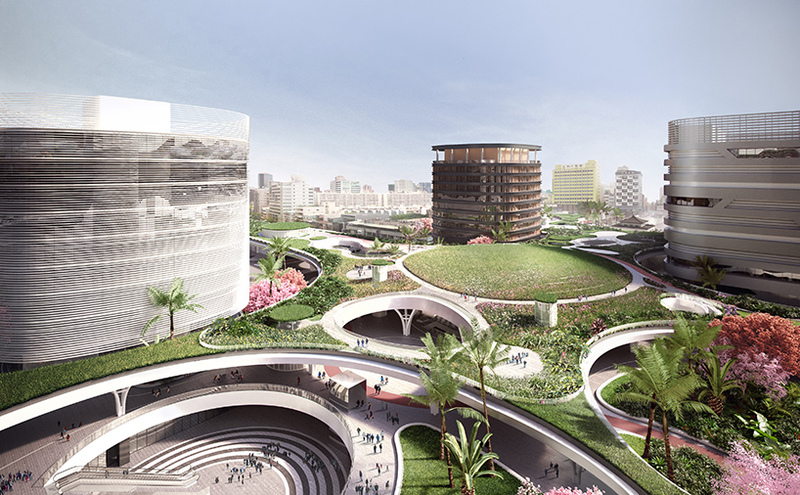 MECANOO PLANS TO UNITE NEW KAOHSIUNG STATION WITH LANDSCAPED CANOPY | "Global Possibilities"
dutch architecture studio mecanoo has revealed plans for an important transport hub in taiwan’s second largest city. 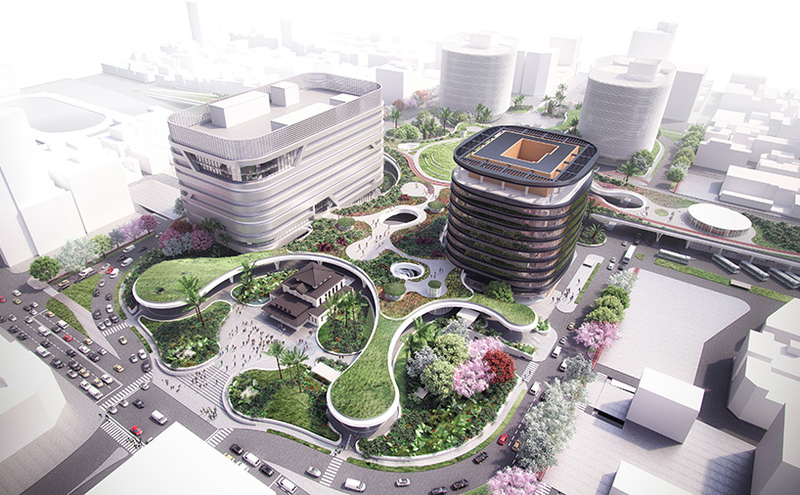 the new kaohsiung station features an organic, curvilinear shape with a landscaped canopy that offers a generous amount of public space. 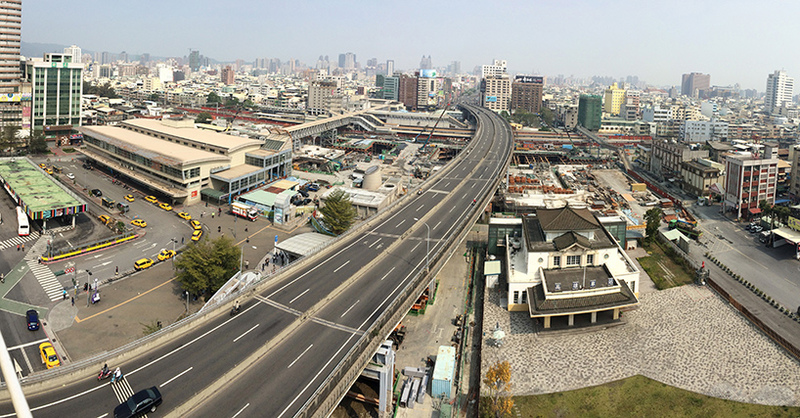 this area of greenery both unifies different modes of transport, and represents kaohsiung’s desire to be a sustainable city. the scheme forms the centerpiece of the vast kaohsiung metropolitan area underground railway project, which includes seven subterranean stations along a 9.75 kilometer (6 mile) railway tunnel. 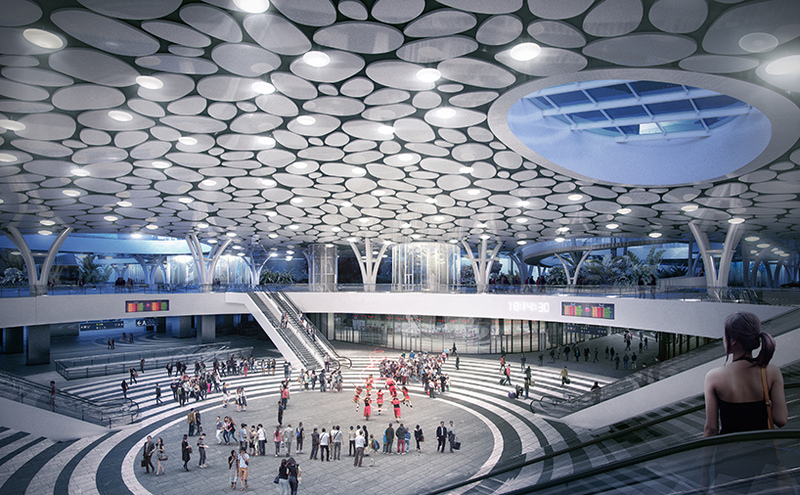 the planned transportation hub integrates train, metro, and bus services, and accommodates the needs of taxis and bicycles. as a main point of arrival, mecanoo’s above-ground station forms a new stage on which to present the city’s identity. arriving from the underground train and metro platforms, kaohsiung station’s central hall is a sunken plaza situated beneath a bright ceiling of oval-shaped lights. 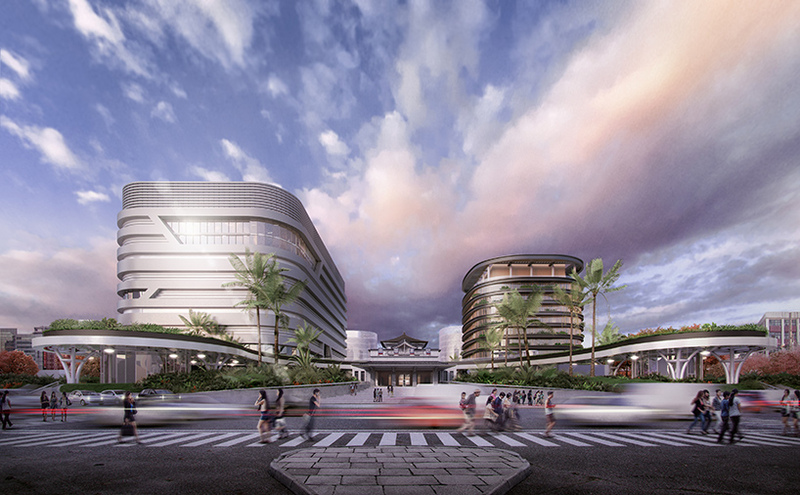 the overarching canopy connects a hotel, retail outlets, restaurants, and other facilities intended for both the local community and travelers. atop the multi-layered landscape is a bike path running east to west. 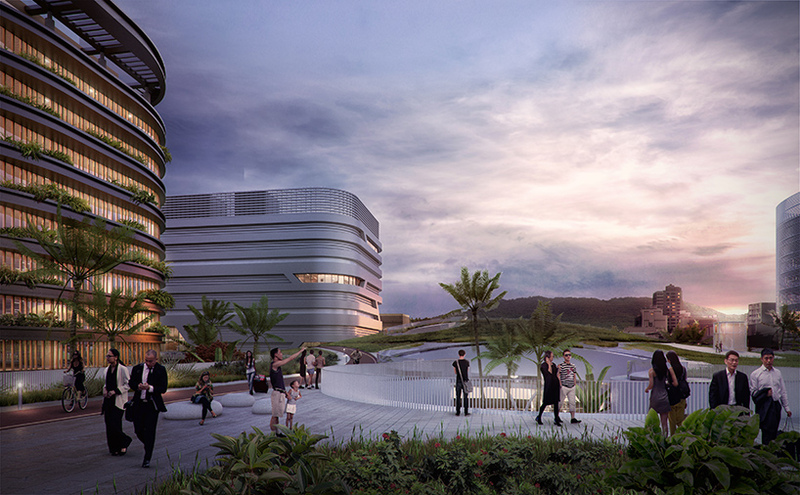 the colonial japanese station building, which will be relocated to its original site, is embraced by the structure and symbolically reconnects old and new aspects of kaohsiung. 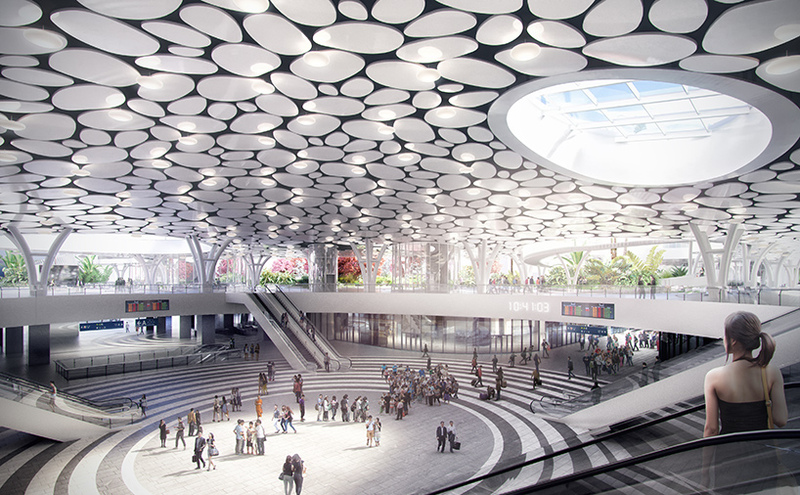 work on the kaohsiung metropolitan area underground railway project and underground station commenced in 2014. completion of the kaohsiung station is expected in 2024.